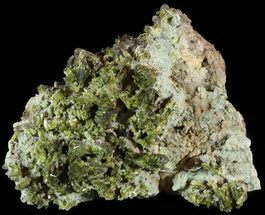 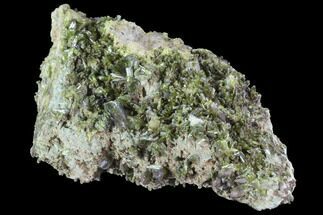 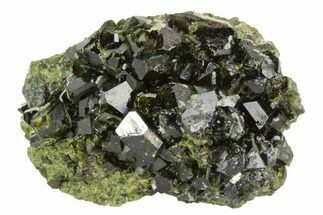 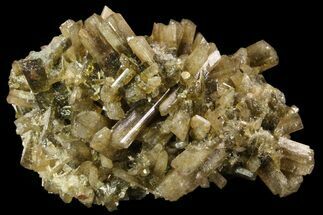 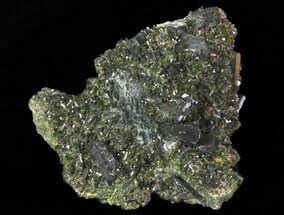 Epidote is a green, silicate mineral that is commonly found in regionally metamorphosed rocks. 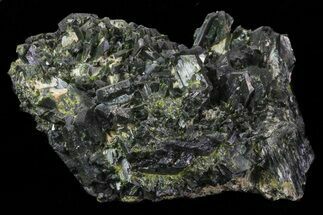 It often forms lustrous, elongated and interconnected crystals that are highly coveted by collectors. 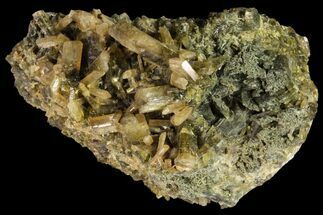 While nearly all epidote is green it may take on many different shades and tones from yellowish to deep green. 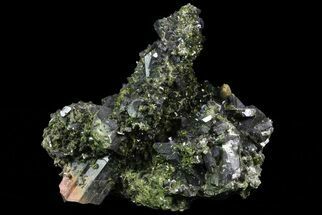 9.1" Epidote Crystal Cluster on Actinolite - See Video!